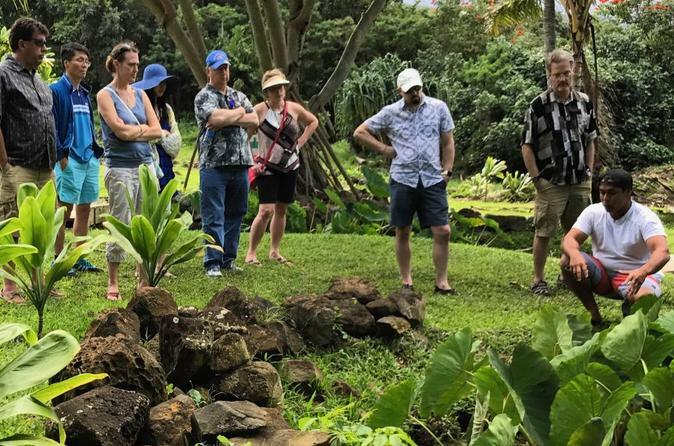 Immerse yourself in Hawaiian culture and history on this fun filled tour to some of the most significant historical venues throughout Oahu. Your guide will be local in-the-know and proud kamaaina (born and raised in Hawaii) who are more than just knowledgeable about the sites you’ll visit – they’re proud of their Native Hawaiian ancestry. This immersive experience will not only leave you in awe of the Native Hawaiian culture, but you’ll also leave with a deeper appreciation for this incredible place we call home. Get ready for a fun filled day learning about Hawaii's culture and people while touring the beautiful Island of Oahu. Your day begins with a visit to one of the largest fishponds on Oahu, located in picturesque Hawaii Kai. There, you’ll learn how ancient Hawaiians used the fishponds to trap and catch fish, necessary to feed the growing population.